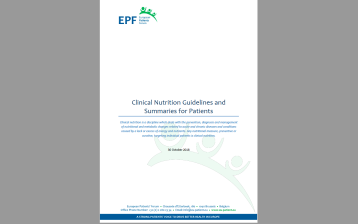 The European Patients Forum (EPF) is pleased to share the paper Clinical Nutrition Guidelines and Summaries for Patients, primarily intended for patient and carer organisations and also scientific societies and organisations developing clinical nutrition guidelines. Healthcare professionals who are called upon to give advice may also find this document useful. 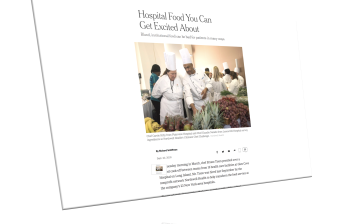 The paper is about the development of clinical nutrition guidelines and the importance of summaries of these for patients as well as the need for patient involvement in the development processes, the importance of health literacy and informed decision-making concerning food and nutrition. 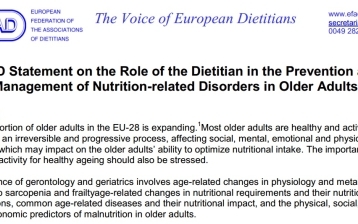 Following the publication of EPF’s position statement on information to patients on food and nutrition, in February 2018, EPF set up an EU patient task force on information to patients on nutrition. The main objective of this task force was to outline existing clinical nutrition guidelines and analyse the extent to which patients are involved in the guideline development process as well as showcase some examples of guidance developed by patients for patients. Provide recommendations for improving existing guideline development processes, improving patient involvement and the development of patient summaries. The paper will be presented at the 2018 edition of the Optimal Nutritional Care for All Conference taking place in Sintra, Portugal on 12-13 November 2018. An update on EPF’s work on this topic will be featured in the November issue of EPF’s newsletter.